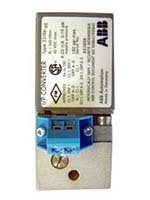 ABB's line of Sensycon I/P converters are compact, immune to shock/vibration, and come in Explosion Proof, NEMA 4X and DIN rail configurations. 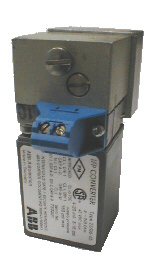 ATEX approved units are available by special order. 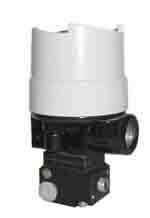 Models are available with VOLUME BOOSTERS, Series V18311H as known as TEIP11-PS which provide a higher flow rate for direct controls of valves etc. but have a lower supply pressure Those I/Ps without booster Series V18312H, also known as TEIP are meant to be attached to positioners, volume boosters etc. 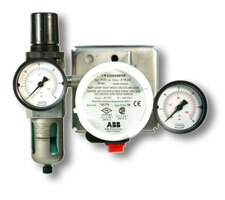 and have a higher supply pressure rating. In the past these I/P were branded VDO and Sensycon. Use the Model Index and Cross Reference to cross over the older model numbers with the new ones. You can get the aluminum housing I/P mounted on a stainless steel pipe mounting bracket with a filter/regulator and gauges. Up until recently the different models were identified by "Type Numbers", the type number along with a general description can be found here "Type" Numbers. The "Type Numbers" are not enough to identify a unique model and we need additional information to get the correct model. The table below shows most of the common US models. We can also get different options for inputs, outputs, and agency approvals. 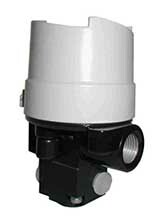 Outside of the USA the most common agency approvals are based on ATEX. Please note that if a model has an approval for Intrinsic Safety this means that it can be used in rated area with special barriers which limits the amount of energy sent to the I/P. 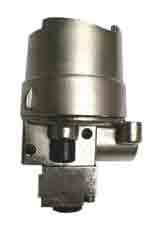 Please note that for the US market the standard for hazardous areas is EXPLOSION PROOF. Please call, fax or email for resale, OEM, and quantity pricing. 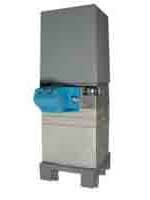 UNITS WITHOUT VOLUME BOOSTER TO CONNECT TO PNEUMATIC POSITIONERS, ETC. Please note that we are no longer stocking these kits. 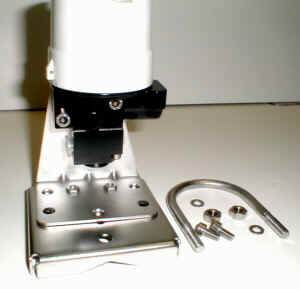 with an "L" shaped plate for mounting the I/P and a 2" pipe mount and "U" bolt Fits EXP and NEMA 4X versions.